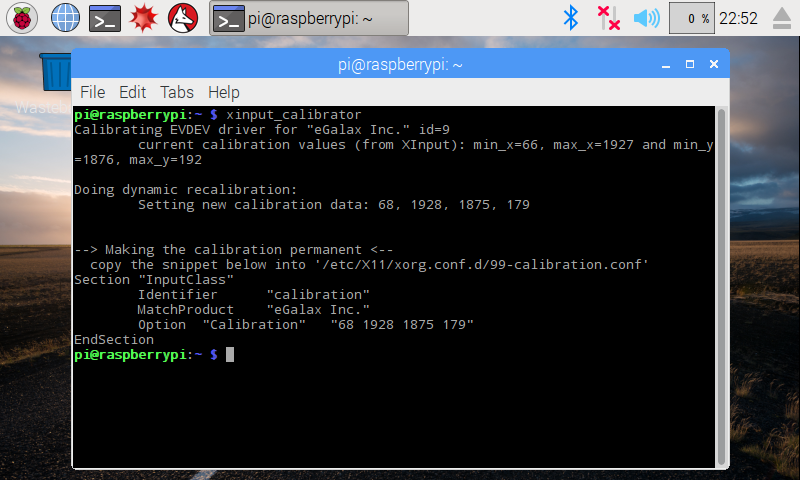 eGalax 7 inch touch screen calibration can be made using xinput calibrator on Raspberry Pi. 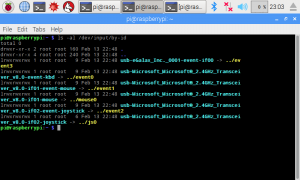 I tested it on Raspberry Pi 3 with Raspbian Jessie installed and it works flawlessly. How do i know what kind of touch screen i’ve got ? Search for “input: eGalax Inc. Touch ” in the output of the command . 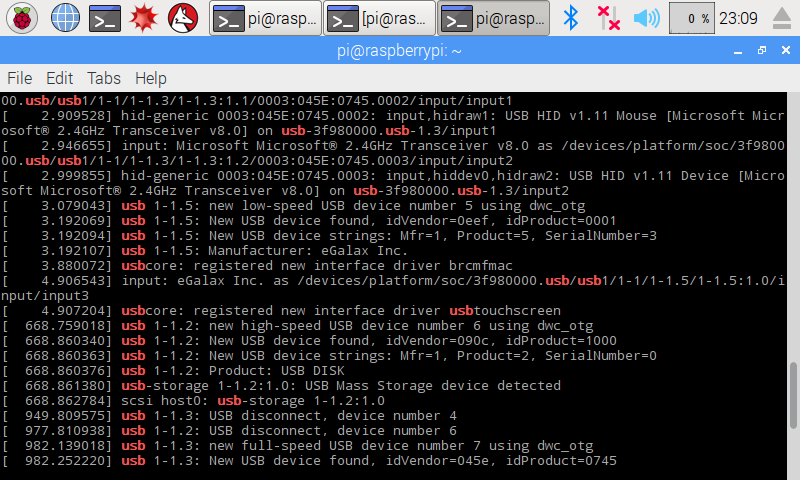 If your display resolution is not supported by Raspberry Pi, you will have to make some configurations before using it. Check this page and look for your resolution. If your 7 inch touch screen resolution is not supported, and you will try to connect it to your Raspberry Pi, you will probably see the messsage “not supported” on the screen. 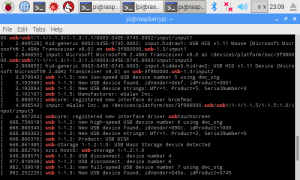 – First, connect your raspberry pi to another screen that works (pc monitor will be fine). 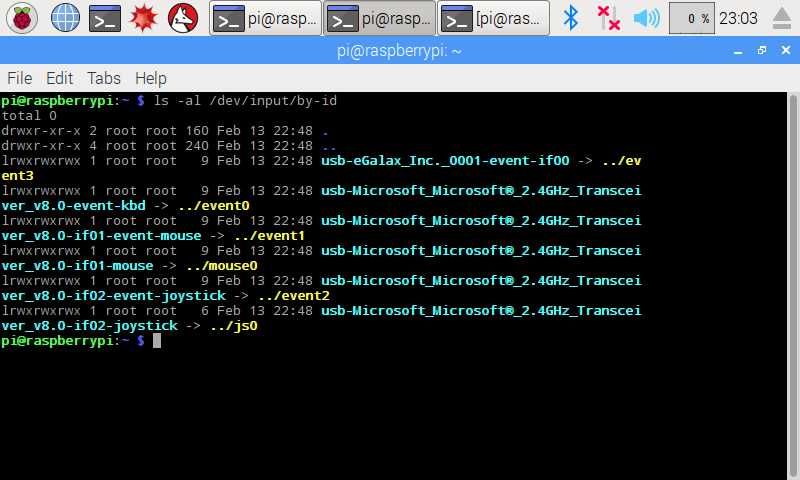 Download xinput_calibrator somewhere in the Raspberry PI’s folder structure from HERE . When xinput calibrator is running , it will ask tou to touch some points on the 7 inch touchscreen. If it fails to receive some touch events, the touch screen calibration will start over again. It is better to use a stylus because it has a sharper tip. 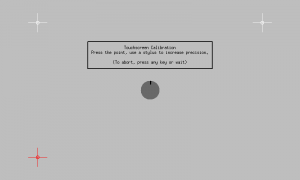 After saving the file (press CTRL + X , Y), reboot and then test your 7 inch touch screen calibration. You can repeat these step later if the calibration wasn’t enough precise.